You've already learned a lot about Picasso. Nevertheless, until now we've always assumed you're just loading the images into an ImageView. However, this is rarely the exclusive use in an Android app. You might need to load an image without displaying it in an ImageView, or you want to learn how to warm up the cache. Before we jump into callbacks, it might be worth to point out the various ways to load an image. 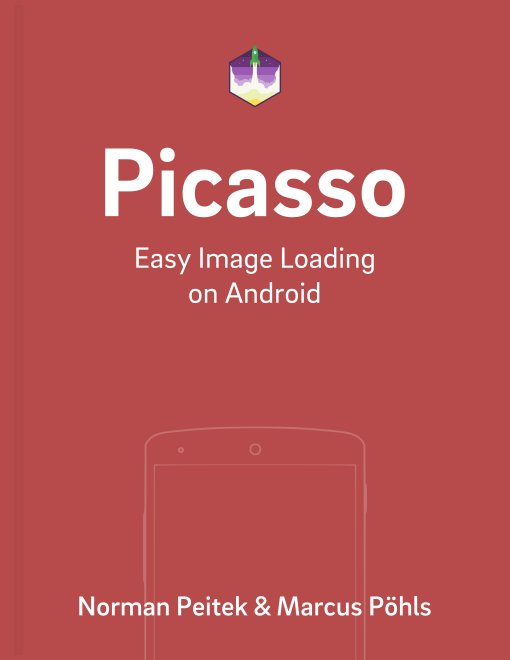 Picasso generally offers synchronous and asynchronous loading. .fetch() will asynchronously load the image in a background thread, but will neither display it in an ImageView, nor return the bitmap. This method only saves the image to the disk and memory caches. It could be used to fill up the image cache in the background, if you know you'll need the image shortly after and want to reduce the loading times. .get() synchronously loads the image and returns a Bitmap object. Be sure you're not calling .get() from a UI thread. That would freeze the UI! Besides using the .into() option, there is another method: callbacks. In Picasso's language these are named Targets. So far, we've always used an ImageView as parameter for .into(). That is not the complete functionality of .into(). It is also possible to use an implementation of the Target interface. Picasso will load the image just like before, but instead of displaying it in an ImageView, it'll return the Bitmap (or the error!) the Target callback. If the action succeeded, the callback will receive the bitmap object and a Picasso.LoadedFrom object. Latter will specify if the image comes from a cache or the network. At this point, you could do anything you need to do with the bitmap. In a previous blog post, we showed how to blur an image efficiently with RenderScript, if you don't want to use Picasso transformations. In conclusion, whenever you need the raw bitmap use either .get() or an implementation of Target to receive the image. Important: always declare the target implementation as a field, not anonymously! The garbage collector could otherwise destroy your target object and you'll never get the bitmap. A rather new feature is to load images into RemoteViews. RemoteViews are used for Widgets and custom notification layouts. All this does is create a notification with a custom layout. We won't go into the details since it's not part of this tutorial. What's interesting is the next step: loading the image into the ImageView. Once again, the Picasso call is incredibly easy. Similar to the ImageViews, we use the .into() function for RemoteViews as well. However, the parameters are different: .into(android.widget.RemoteViews remoteViews, int viewId, int notificationId, android.app.Notification notification). In case you're interested in loading images into Widgets, use another .into() call with the following parameters: into(android.widget.RemoteViews remoteViews, int viewId, int appWidgetIds). If you're building a complex Android app, you might actually run into all of these use cases. If you've read all of previous posts in this series, you have an extensive knowledge of loading images. It's time to go beyond simple loading and displaying of images. In our next post, we'll add two possibly important components: image rotation and transformations.